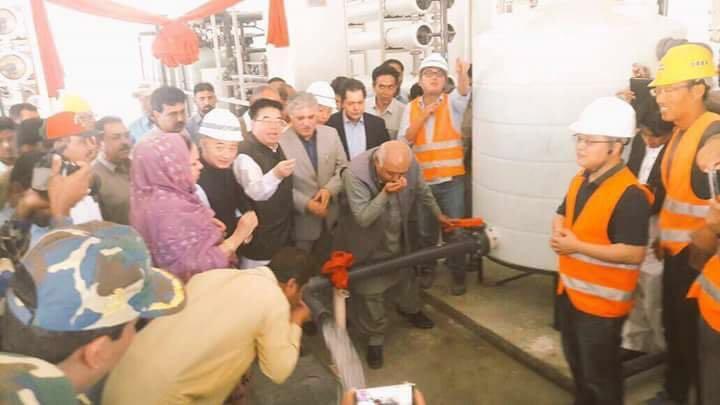 GWADAR: On Monday by federal Minister for Ports and Shipping Mir Hasil Khan Bizenjo inaugurated a desalination plant installed at the Gwadar port by China Overseas Port Holding Company. The plant will supply drinking water to Gwadar. The newly-installed desalination plant with the capacity of producing 254,000 gallons of clean drinking water had been completed by the Chinese firm in record time. Atif Bhai, it is now Ministry of Maritime Affairs and Bizenjo Sb is Minister of Maritime Affairs. Although there is not much difference in both domains, in fact, Ports and Shipping is just a small part of Maritime Sector. Maritime awareness is a necessity and need of the hour for our sea blind nation. People like you and forums like this are widely listened and viewed/ read. So, these should be used to inculcate maritime awareness, potential and benefits this sector has. It’s time now to change the continental mindset of our populace. Pakistan is yet to accrue the benefits of blue economy. After much efforts, Federal Govt has agreed to change the name from Ports and Shipping to Maritime Affairs. This is just a mere step. A lot needs to be done.